Dr. Richardson has been practicing podiatry for 18 years. She is board certified; a Diplomate of the American Board of Foot & Ankle Surgery. She practices straightforward time-proven medicine, not gimmicks. As both a surgeon and clinician, she has solved a diverse range of foot and ankle ailments. Dr. Richardson has a strong referral network of other specialists in the Greater Seattle area. This means finding you the extra care you may need and/or redirecting you to the most suitable specialist. Solid communication between your specialists can be just as important as how well a doctor communicates with you. 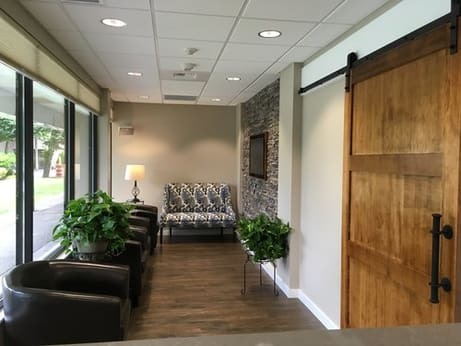 Our clinic is brand new, with all new equipment and furnishings chosen for both function and patient comfort. We provide a serene environment to soothe the stress that often accompanies health care. We don't offer coupons, discounts, memberships, or other gimmicks that often result in more cost to you in the long run. We also don't charge a facility fee. We use best-of-breed billing software and services to interface smoothly with patient insurance companies. Some podiatrists lack x-ray capability at the clinic. They send their patients out to a lab. This usually mean extra time and expense for you, and extra time before a solution can be determined for your feet. Even when the x-ray is on site, it is often outdated, not digital, and exposing the patient to more radiation than modern systems. Our x-ray system is state of the art, digital, and brand new. Our x-ray system is also more flexible than most, making it simpler and faster for all patients. We use a state-of-the-art 3D digital scanner to scan a patient's feet when designing precise custom orthotic shoe inserts. It is the most efficient and effective way to obtain an exact rendering of the feet. This can usually be performed during the initial visit to save you time. We are typically able to accommodate in our schedule some procedures such as ingrown toenail, cyst aspiration, and injections on your first visit. We try to be respectful of your time. Our entirely above-ground parking is ample and easy to navigate. We believe patients shouldn't need to fight for a difficult parking space to see their doctor, or risk their vehicle at a less safe location. We are also within a block of several Redmond Transit bus routes. 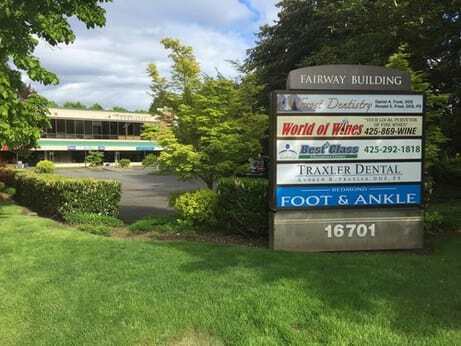 Since we're located a block from Redmond Town Center, in the heart of Redmond, WA, we are a stone's throw from some of the very best shopping and dining on the Eastside. Timing a visit to us with other errands saves you time and effort in your day.